Cabela’s is a national physical and online retailer of hunting, fishing, and camping gear. 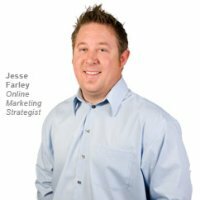 Jesse Farley, Cabela's online marketing strategist, wants to develop and deploy content that guides customers through their journey to purchase and the user experience they sought. With a large catalog of products, Cabela’s needs to prioritize where to put the content marketing focus to maximize results. “At the end of the day it’s going to be sales, what drives the dollar. We leverage the BrightEdge platform to look at all of the steps to get to that sale from keyword placement to SERP results, to traffic, and then to sales. The Data Cube has been phenomenal. It allows us to look at where are we in the mix, where we stack up against our competitors, and informs decisions on, frankly, getting ahead of them. BrightEdge has been really good at providing us with the statistical data that allows us to drive the business forward. Some of our KPIs are our rankings, traffic and then, ultimately, sales.” See Jesse's Cabela's Testimonial video.